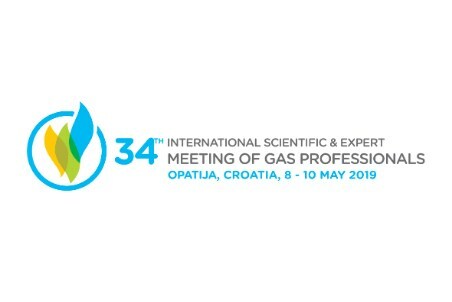 Croatian Gas Center Ltd. and Croatian Gas Association, member of the International Gas Union (IGU), invite you to present a scientific or technical commercial paper and thereby contribute to the success of the 34th International Scientific & Expert Meeting of Gas Professionals, which will be held from 8 - 10 May, 2019 in the Congress Centre of the Grand Hotel Adriatic, in Opatija, Croatia. One of the largest three day international gas conferences and exhibitions in Central and South-East Europe will once again gather 600 distinguished gas and energy experts and managers from about 240 gas companies and institutions, about 45 exhibitors from 20 and more countries who will discuss the current gas and energy topics. Current state and trends of gas reserves in the world, EU and Croatia regarding current and future consumption. Efficient technologies and the use of gas with renewable energy sources. Smart technologies in gas and energy systems. Innovation and transfer of technologies and their role in the gas industry. All gas market participants are invited to take advantage of this unique opportunity to present its products, services and projects by exhibiting gas equipment and other advanced gas technologies solutions, promotional posters, leaflets and brochures on indoor and outdoor exhibition units. Sponsorship of this established gas event provides a unique opportunity for companies to strengthen their position, showcase expertise and new technical solutions needed to overcome the challenges of the gas economy industry. Networking, targeted topics and reputable speakers represent a combination of science, education, profession and business entities that actively participate in the gas industry.